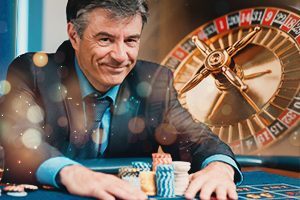 To be good at roulette and to have fun while you’re at it, you need a key to a good roulette game: know all there is to know about the rules, strategies, betting systems and advices of others to help you enjoy your game and have a great time while playing. Even though we can’t be sure about roulette’s very first steps, some theories claim that it actually originates from 17th century France. These claims are commonly accepted as true, due to the fact that the word “roulette” means a “small wheel” in French. Wherever it came from, this classic casino game has managed to captivate the hearts of millions of players all around the world for several centuries now! Very often when people say “casino”, roulette is actually the first that pops to mind as the most recognizable game. The game of roulette is very easy to play, as it involves a table with a layout and a little wheel that comes with black and red pockets with numbers. Once the wheel is spun, a small white ball gets tossed in the opposite direction, while the players place their bets on a number or color. Nowadays, you can enjoy the perks of playing roulette games from your own home, by visiting an online casino. …there are strategies and techniques which can help you generate more profits. Now, let’s get further into details, shall we? 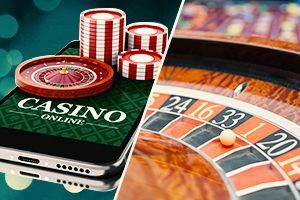 …there are many factors that affect the outcome of a spin in a game of roulette, and this affects both land-based and online casinos equally. First off, let’s just say that croupier’s spinning style (also known as “dealer signature”) greatly affects the game of roulette in a land-based casino, as following it closely may reveal certain predictable patterns. Also, you can place your chips and bet even after the wheel has started spinning. Another important aspect is the fact that the wheels themselves can be “biased” with minor imperfections, including poorly glued numbered plates or the wheel’s tilt. These games utilize the RNG, or the Random Number Generator, to make sure that the game is still based on chance, yet completely random and unbiased. This generator utilizes special algorithms so that it can create very long sequences with random outcomes. Each millisecond it generates values that range from 0 to 4 billion and translates them into different sets of numbers that correspond to the numbers on the roulette wheel. 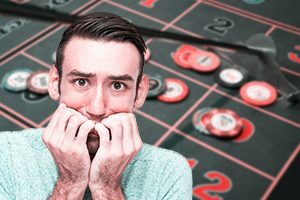 At first, it seems like online roulette doesn’t feature any “patterns”, but spending a lot of time playing will certainly have you notice that some numbers still do tend to come out a little more frequently than others. How can you use this to your advantage, then? The so-called Hot numbers are exactly those that tend to emerge as winning ones more often than others, so it’s pretty obvious that betting on them might increase your chances of winning and scoring better results. As a direct outcome of this, some software companies even went as far as to indicate the Hot and Cold numbers in their online roulette games. These don’t necessarily follow a pattern or get repeated in a row, it all simply boils down to how many times a number was called for a specific number of spins. Considering this, numbers that get called twenty or more times over 300 spins are usually very hot, just don’t forget that there are no guarantees here. On the other hand, we have the Cold numbers which hardly ever come up, especially when compared to the consistency of the Hot numbers. So, often players bet on these as well, because of the impression that they are “due” (about to get called). Mixing these two tactics could provide you with better results, especially if you keep track of all the winning numbers. If you want to try your luck with six or less Cold numbers, you can try placing smaller bets on each one, until you get the hang of it. In case you fail to win, it’s better not to push it any further, so simply restart the game and go back to square one. Cold numbers can easily become Hot ones and remain so, but eventually, they will also cease being called. It’s a circle without end. Yet, another tactic consists simply of going for the numbers that are adjacent to the Hot or Cold ones. In some variations of roulette, you can rely on Announce bets, covering several numbers, so you have even greater chances of winning. Also, you can try an exotic bet, such as Voisins du Zero, which covers the 17 adjacent numbers on the wheel, with the zero right in the middle. Another exotic bet is the Orphelins bet, which covers eight numbers, divided into two separate sections (three plus five) on the wheel. Last but not least, we suggest trying out a Tiers Du Cylindre bet, in which you bet on one-third of an entire wheel. The most important thing about online roulette games is that they are always games of chance! …as the odds of winning and losing are almost equal, and there is no strategy that will make it possible for you to win each and every time. Always avoid strategies that call for increasing the bet units after each loss. Increasing the bets will not compensate for the previous losses. Also, sticking to one or several “lucky” numbers until they eventually come up is a bad practice. Yes, there is a chance of your number being called, but you might end up exhausting your entire bankroll before that occurs. You can make things even worse by combining the aforementioned tactics, where you increase the bets with each loss, but stay on the same “lucky” number. Always organize and manage your bankroll appropriately! When all is said and done, there are no “losing” or “winning” numbers in a game of roulette, as all of them share the same potential. Just relax, keep your fingers crossed, hope for the best, and simply enjoy the game!